Achieve that sought-after V-shaped face instantly with the Ultra V Lift from South Korea. Cambridge Medical Group’s Dr Lee Mun Heng uncovers the safe and innovative skin-tightening treatment that’s taking the world by storm. With their perfectly contoured and radiant faces free of lines, South Korean stars never seem to age. The country’s reputation as a superpower in advanced beauty technologies and skincare must have something to do with it. One of the most successful treatments to have emerged from South Korea that is making waves across Asia is the Ultra V Lift. A surgery-free skin-tightening procedure, it’s the answer to a quick “lift” from the doctor’s clinic straight into a gala dinner event. 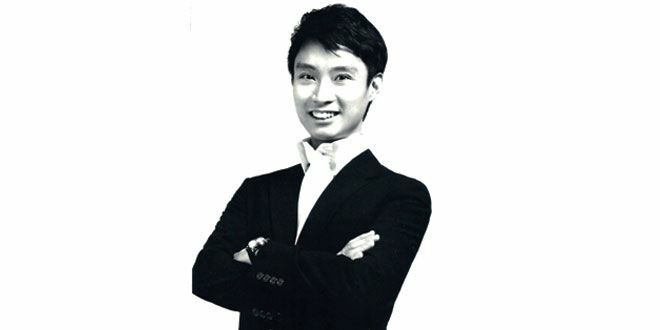 Dr Lee Mun Heng, founder of Cambridge Medical Group, has been performing threadlifts for 10 years and has seen how the often troublesome threadlift systems from Europe previously have evolved into the Korean-style Ultra V Lift, now a top lunchtime facelift that patients find comfortable and effective. Central to the treatment are Ultra V Threads, extremely fine synthetic fibres made of polydioxanone that encourage collagen growth. After anaesthetic cream is applied to the treatment area to numb it, the threads are strategically inserted into the face using a series of needles. Resembling a simple acupuncture session, it is done within mere seconds by Dr Lee, with the deft hands of a tailor. These special threads tighten sagging skin and stimulate collagen and fibroblast production, resulting in a more sculpted V-shaped face. The results of youthfully firmer, more elastic skin are instantly visible and as new fibroblasts and collagen are stimulated, the face looks increasingly younger every day post-treatment. Touch-ups aren’t usually needed until one or two years after the first treatment, but satisfied patients who do get touch-ups before this will see even better results. Ultra V Threads can help to achieve a smoother forehead, higher cheeks, a more defined jawline and chin, a higher nose bridge and a sharper nose tip. They can even be applied to the corners of the eye, and other parts of the body like the abdomen. All it takes is just 30min per treatment area. Every treatment is preceded by an in-depth consultation with Dr Lee. He then gets down to “designing” a face, determining the combination of thread strength and proportions needed to achieve the desired lift. Patients get to see how they will eventually look before any work is done thanks to a simulation of the expected end result, so any refinements can be made at this stage to ensure very precise results. Dr Lee adds that Ultra V Lift can be combined with other complementary techniques like the new collagen stimulating medication Sculptra—for which he is the trainer for Southeast Asia appointed by pharmaceutical giant Galderma—for a more youthful you.